For us, “burgers” evoke memories of backyard barbeques, of sunshine and warm evenings, of good food and laughter with friends and family. 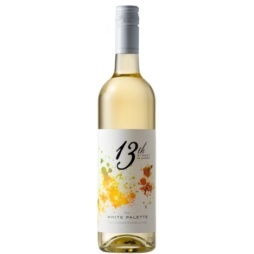 The goal of this wine was to produce a fruit-laden and refreshing white that represents excellent value and one that would bring out the best in your burger. A challenging task since the perfect burger can be a very personal and unique creation. Consider the traditional elements: the acidity of pickle, the sweetness of relish and ketchup and the spice of BBQ sauce and mustard. 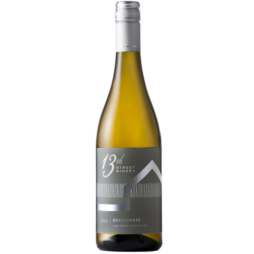 Our final combination for Burger Blend Riesling Pinot Grigio is a fruity, light and crisp white wine with a touch of spice and a juicy finish that can be enjoyed alone or with your favourite summer backyard fare, burgers most certainly included! Respect your burger… serve it with Burger Blend! 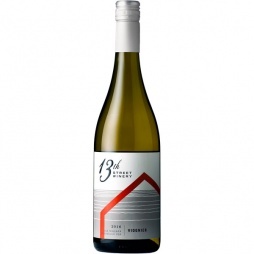 The original 13th Street Burger Blend was produced in the late 90’s and was an eclectic mix of a wine which incorporated pretty much every red variety in the wineries stables. 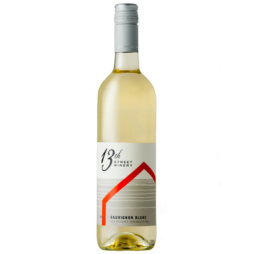 Since not all burger eaters crave a glass of red, we are pleased to announce that we’ve created a white blend specifically for pairing with burgers and burger-friendly occasions! 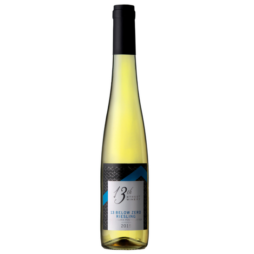 Both varieties were fermented and aged in stainless steel to preserve the fresh fruit flavours and acidity that are so important to this blend! 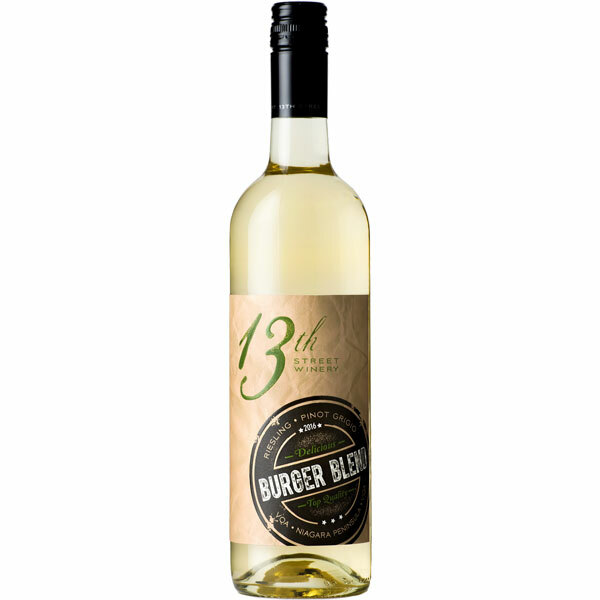 Respect your burger… serve it with Burger Blend!